The Scottish Government has said it will provide further feedback in early 2019 on plans to introduce on-the-spot fixed penalty notices for road traffic offences. The move would bring Scotland in line with Wales and England, and differs from existing powers in Scotland, whereby fixed penalty notices can be fixed to offending vehicles or issued to suspected offenders by way of conditional offer. The Scottish Government and the UK Government have agreed that the law should be changed and held a consultation between 27 March 2018 and 8 May 2018. This saw the majority of respondents support the proposals, which would introduce amendments to section 54 of the Road Traffic Offenders Act 1988. The move is expected to bring greater flexibility and efficiency in dealing with road traffic offences, and reduce time wasted. Currently, a conditional offer must be accepted by the offender and, if not paid, must be reported to the prosecutor, by the relevant authority for any further action to be taken. 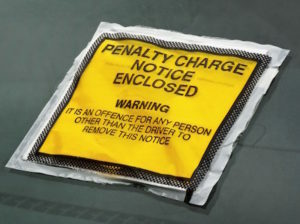 Fixed penalty notices, however, take effect when imposed and can be enforced without the need to raise summary criminal proceedings in court. A response from the Scottish Government on the feedback is now due early in 2019.